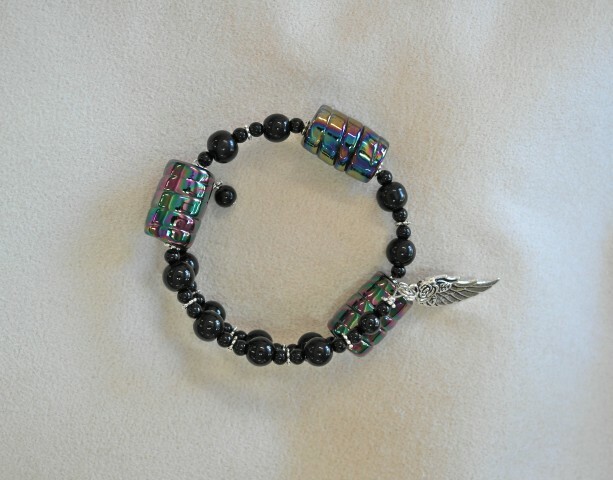 Adult 7 mm and 3 mm black glass bead Unity in Trinity™ Gratitude Bracelet with three 21x13 mm aurora borealis cylinder beads, zinc alloy angel wing and spacers. 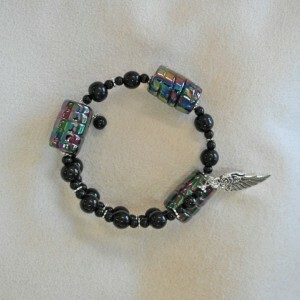 Steel memory wire bracelet is 2.25 inches across and will stretch to fit most wrists. 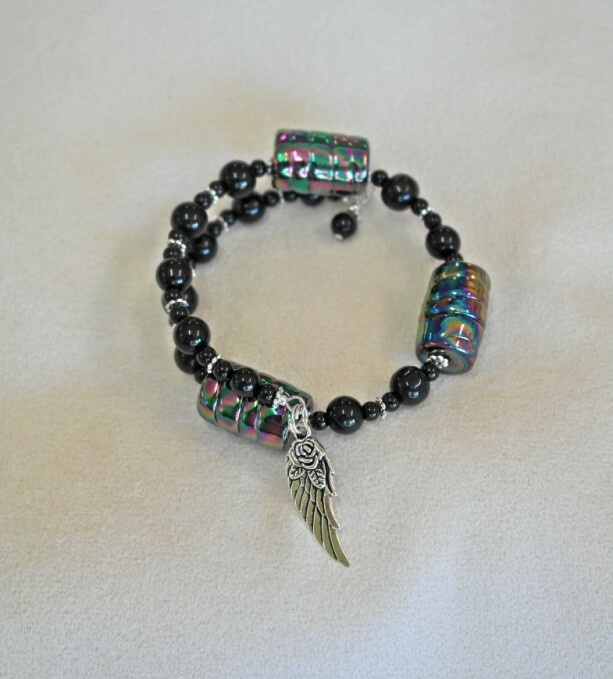 Item #167 The three large beads symbolize the Trinity and remind you to be grateful for the Three Persons of God when you look at them, and remember three gifts or three blessings you have received that you are thankful for. 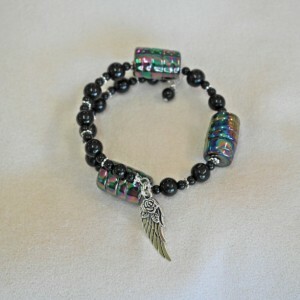 The angel wing reminds you of the blessing of your guardian angel. The bracelet circle symbolizes unity in Trinity and eternity.